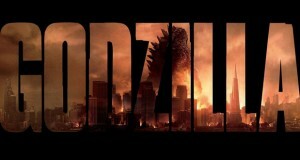 On his tenth feature-length film in a three decade long career, Guillermo Del Toro is a director at the peak of his powers. Over the years he has made a catalogue of imaginative creature features and fairy tales involving giant robots, ghosts, vampires and demons. 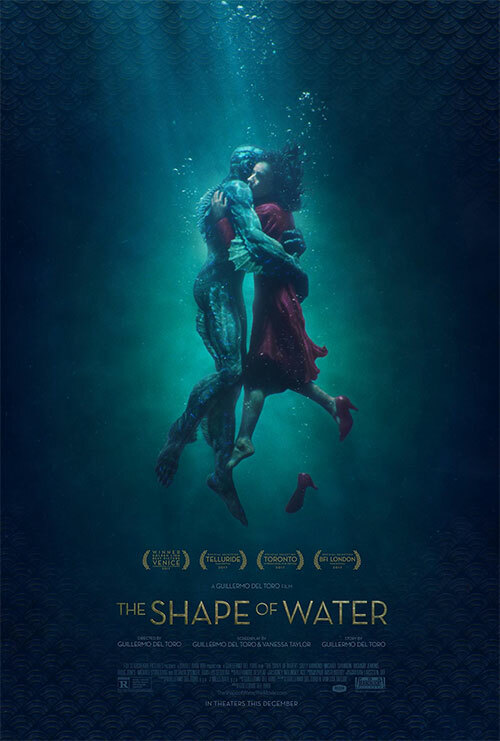 His latest film is The Shape of Water, a fantastical tale about a mute woman in the Sixties who works as a janitor in a secret government laboratory where she befriends and falls in love with a humanoid sea creature. In a case of being in the right place at the right time, The Shape of Water is a pet project of Del Toro’s that you’d expect would find a niche audience but instead it improbably finds itself leading the nominations at the upcoming Academy Awards. As a result of this unexpected extra attention, The Shape of Water has become a wonderful coming out party for Sally Hawkins, a terrific actor whose career has largely gone unnoticed by the general public until now. Hawkins plays Elisa Espito, a woman who became mute when she sustained a neck injury as a baby, of which she still bears the scars. Elisa has a compact and routine existence where she basically interacts with just two people – her neighbor Giles who is a struggling commercial artist, and Zelda, her colleague at the underground government laboratory she works at. The lab and everything that goes on in it, is a sight to behold. The Shape of Water is a film that looks absolutely sumptuous on the big screen, with every shot framed just so and every object within it having a sense of purpose and place. Over the years, Guillermo Del Toro has always given his works a distinctive colour palette and with The Shape of Water, everything is awash in a sea of green and teal. Thematically, it compliments not just the aquatic sea creature at the centre of the film but the Cold War era trappings that surround it. The love story at the heart of The Shape of Water begins in earnest when Elisa learns that the devious Colonel Strickland (played in a larger-than-life performance by Michael Shannon) has captured a strange sea creature from South America that he plans to torture and vivisect in the hopes of finding something that will help the Americans in the Space Race. Unbeknownst to Strickland, one of the scientists in the lab, Robert Hoffstetler, is himself a Russian spy hoping to steal away the sea creature to further the cause for the Russians. Elisa cares not for any of these men and their motives but for the immediate emotional bond that she develops with the creature. A rare trait that The Shape of Water has for a Del Toro film is an overt expression of sexuality which is exhibited by Elisa. We see that she masturbates in her bathtub as part of her daily routine and in a none-too-subtle sign of her burgeoning fertility, she literally courts the creature by baiting it with eggs. When Elisa discovers the harm that Colonel Strickland inflicts on the creature as well as his growing impatience and plans to kill it, she enlists the help of her friends to bust the creature out of the lab and away from harm. Where the film goes from there, I won’t spoil. I liked The Shape of Water a lot and find it to be the quintessential Del Toro film. It is a tale that sounds bizarre on paper but is resolutely comfortable in its own skin and full of heart and compassion for its heroine. It’s not quite the bona fide classic that Pan’s Labyrinth is but then what is? Instead, I like to think of The Shape of Water as the perfect gateway film to many more great works like it. Is this your first Guillermo Del Toro film? Then you should absolutely check out The Devil’s Backbone and Pan’s Labyrinth. 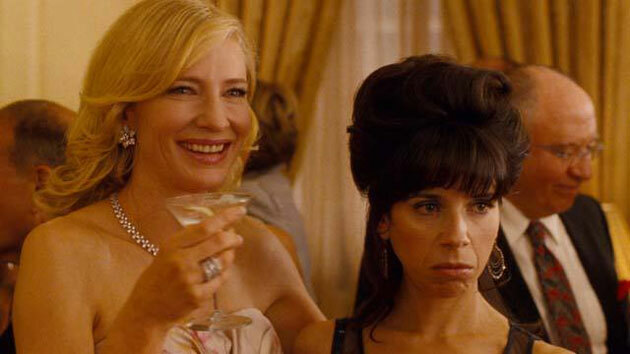 Are you new to Sally Hawkins? Then you owe it to yourself to check out Happy Go Lucky. Did you like Richard Jenkins as the hapless Giles? Well he’s a terrific lead in The Visitor. After unfortunately losing many years to the doomed Hobbit project that he eventually left when it got jammed in a legal quagmire, its been great these last few years to see Del Toro out of the wilderness and doing what he does best. 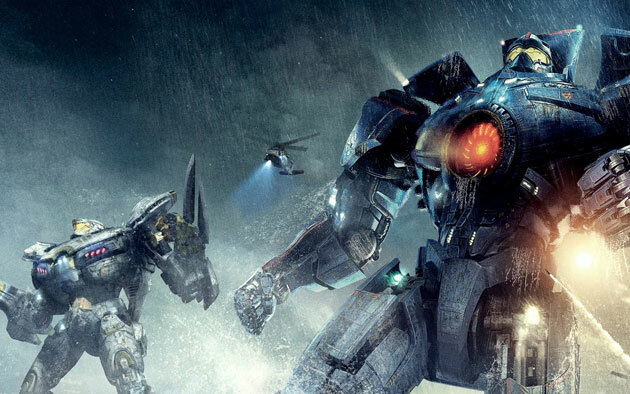 They’re not perfect films by any means, but there’s so much to enjoy about Pacific Rim, Crimson Peak and The Shape of Water. I can’t wait to see what comes up next. Summary : Classic Del Toro fare. Hugely imaginative, wonderfully weird and an enjoyable experience from start to finish.